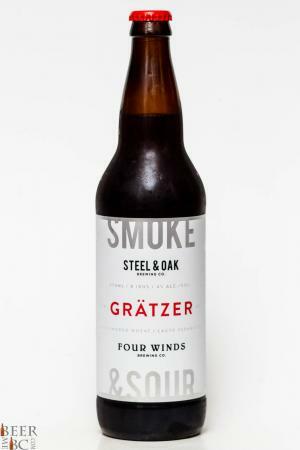 Brewery: Four Winds Brewing Co., Steel & Oak Brewing Co.
Two of BC’s most exciting breweries have paired up to see if together they can do something incredible. 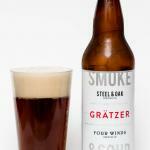 The beer that they have released jointly is the Smoke and Sour Gratzer. 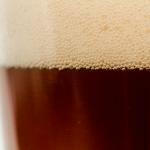 This is an oak smoked wheat beer which has a very low 8 IBU rating and 4% alcohol. 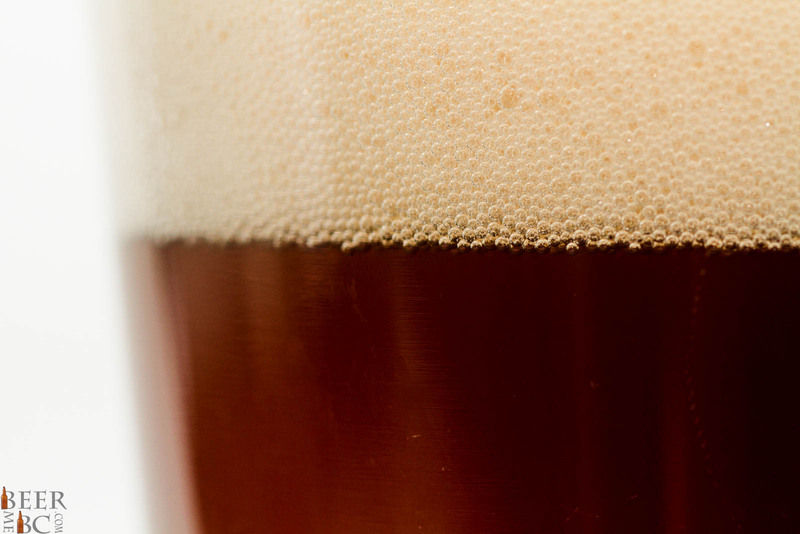 From the 650ml bottle the Gratzer pours as a cloudy, light brown colour topped with two and a half fingers worth of lightly lacing head. 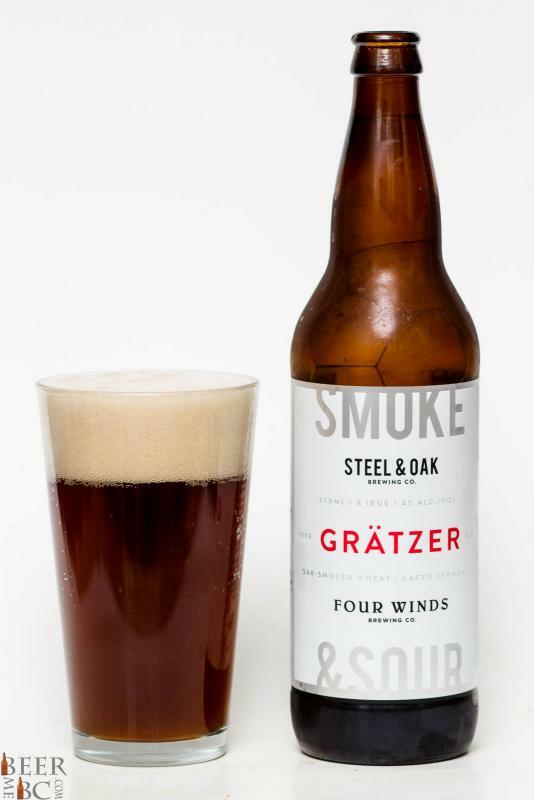 A slightly acidic, smoke aroma comes from the beer with a wheat-fullness on the nose. Smoke is at the forefront of the aroma but isn’t so overpowering that a few bits of other notes can find their way through. The body of this beer is quite light and thin. A wheat beer tone comes first before the smoke builds shortly after. The sour aspect that was expected from the name is really more of a crisp, freshness than anything. This is by no means a sour beer but more a light, refreshing, smoked wheat beer. 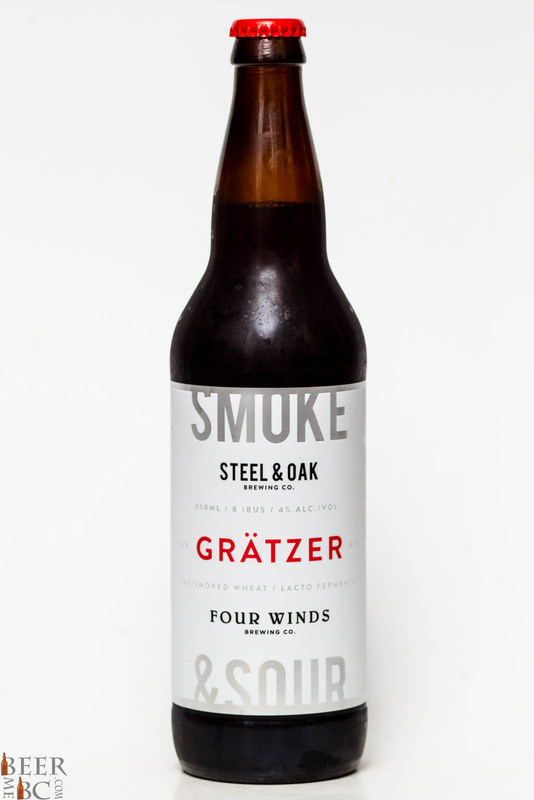 Do not get this wrong, the Smoke and Sour Gratzer is lacto fermented but the sour notes are light and not to the strength that you may expect. Give this beer a try, it is light smoked and has just a touch of sour notes to give it a unique and flavourful twist.